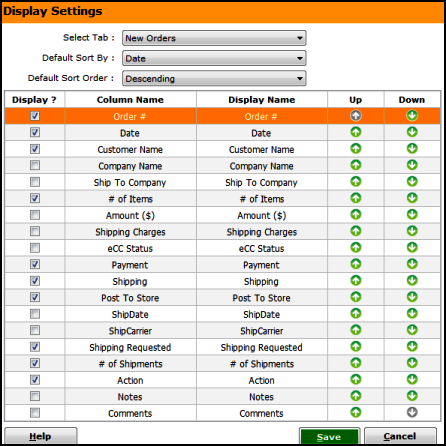 Use this screen to make any display settings in Shiplark so as to modify the display to suit your convenience. You can use the 'Select Tab' to navigate to which tab you want to make the display setting for. You can also change the sort by and sort order options. Check mark the items you would like to display and use the up and down arrow icons to prioritize your display choice.